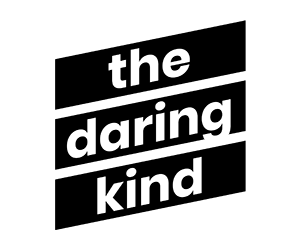 The Daring Kind is “the podcast” where business meets modern mindfulness. Each week, Nicole Hernandez, a leading brand consultant with a conscience (rare…we know), chats with authors, business leaders, coaches and unconventional guests about their own journeys from playing it safe to daring to live greatly. Expect enlightenment with a side of entertainment as we uncover non-soul-sucking approaches to marketing, management, mindset, and leadership. Now casting for Season 2 of the Daring Kind podcast!